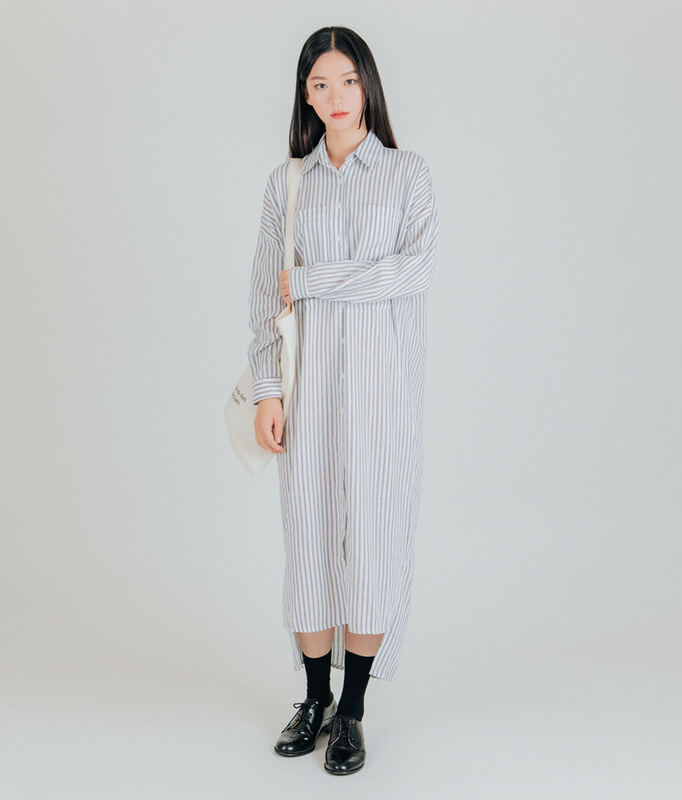 Long and loose, this shirt dress is perfect for your laid-back weekend day. It comes with a collar, cuffed sleeves, a button-front closure, side slits, and an asymmetrical hem. With a striped pattern, this dress would team well with a solid-toned cardigan and sneakers.